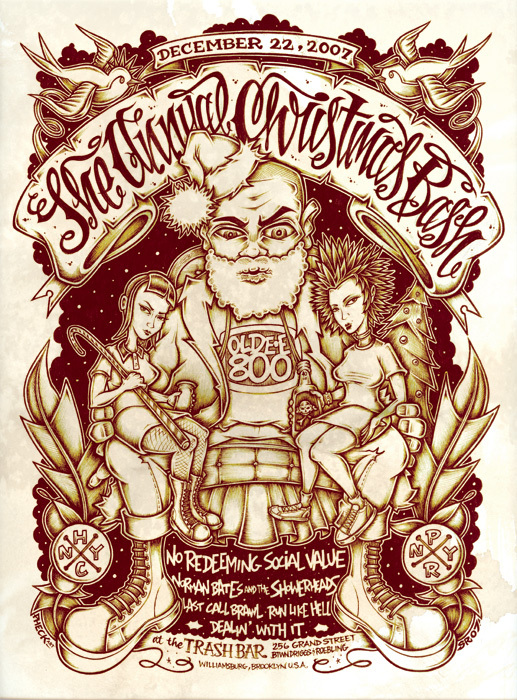 It's Time For The Annual X-mass Bash. So Come on Down and Have Some Cheer. and an Open Bar, 7:00 - 8:00. NYHC At It's Finest !!! N.R.S.V. N.B.SH. L.C.B. B.O.S. And A Whole Lot More. Cafe Bada Bing. 1615 Main Street Port Jefferson, NY 631-474-4427 The Train Leaves You Off At The Club !!! Port Jefferson Station. Walk 200 Feet to the Club !! Stumble Back To The Train !!!! See You There !!!!! New York Unity Fest !!!! 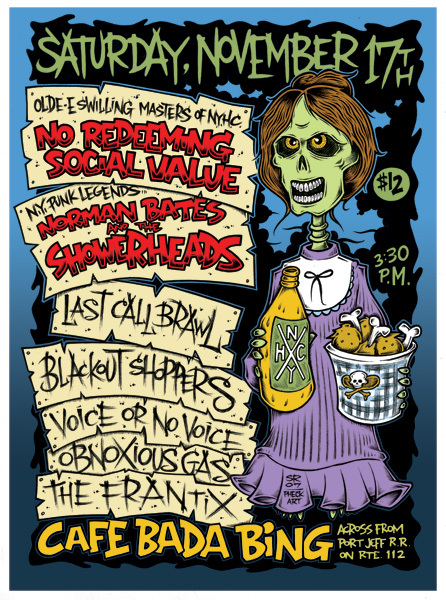 Two Days, Punk Rock, and Roll !!! Look at the flyer,............... It says it all. BBQ, BEER, STUFF & JUNK !! We,re Playing on Saturday, July 7th. All For A Good Cause !!!! And With A Bunch Of Great Bands !! Now go and leave us comments so we can get back to what the hell we were doing!! !